Why ‘ROI is a major factor in Affiliate Marketing or small business’? Why need to know the places to learn ‘how to increase ROI’? You might be thinking these issues. Suppose, you have a pretty sound portfolio in your affiliate marketing which includes 10 types of investment and you require a measurement, competitive performance of each one so that you could figure out to select the best ones prioritizing investment. Then, which method do you prefer to follow? ROI. Obviously, ROI is a simple, sound and powerful method for scoring the performance of each typical campaign according to their clear outcomes. 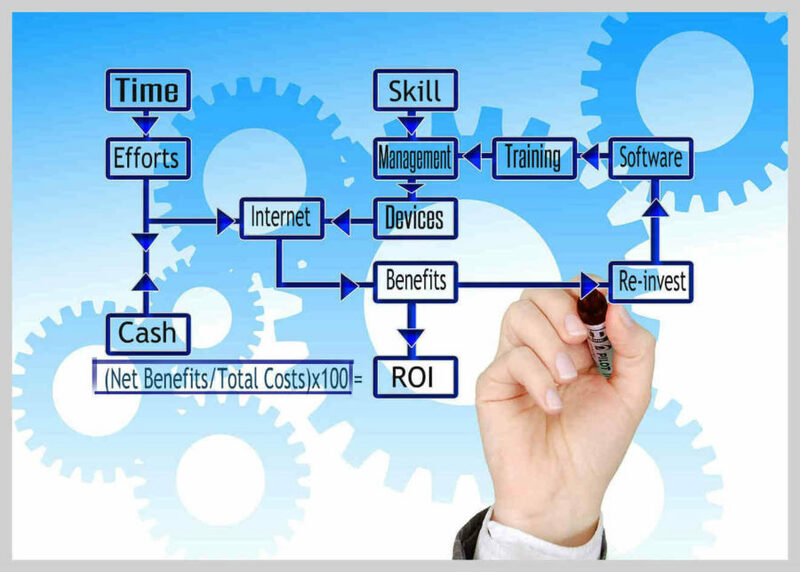 ROI means, return on investment, which stands net profit on the cost of investment. ROI is a metrical performance that indicates how much happier you are from your every specific investment. We could define every campaign as a specific investment because they consume cost of your communicating device life, internet cost, time, efforts and training costs or money. In affiliate marketing, every affiliate must not desire a bust instead of sufficient ROI. Your precious time, Innovative efforts and valuable money should go into real value investment is a bit challenging either, if you do not optimize your portfolio with a right allocation of investment. If your business or job is related to the affiliate marketing, then the world’s top affiliate bloggers could help you as your role model mentors. 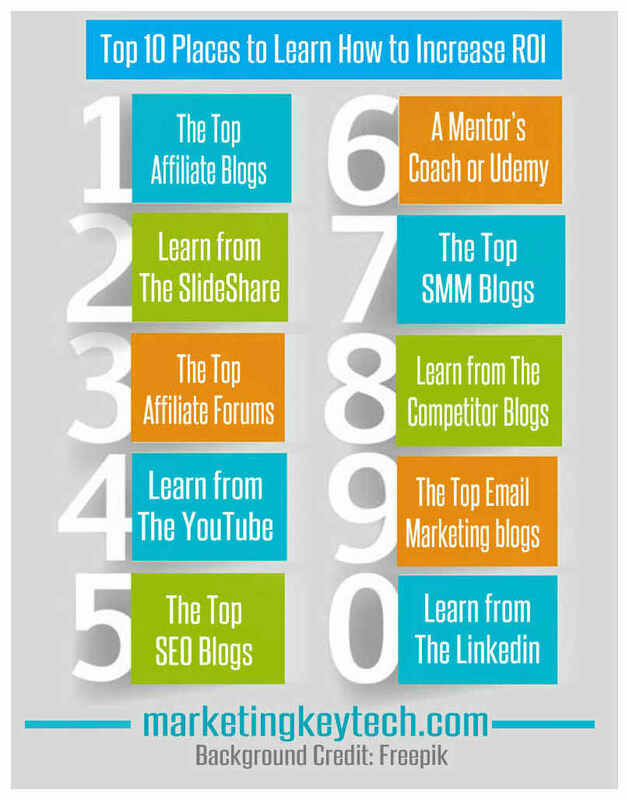 Your first curious lesion for a small business might be the top affiliate marketing blogs. You could find from their blog affiliate stories, reviews, news, influential strategy, model to make money, method, various help, resources, tips, lesson, free discussion, and so on. Any of their stuff could help you find any solution that you look for in terms of ROI of your business. The resources provided by top affiliate bloggers could show you the ways how to reach the goal easily. As a prime source for ROI development, you could learn lots of relevant stuff from SlideShare. There is an in-depth scope to learn the core points at a brief glance from SlideShare. The marketers used to re-make the complex points in slides easily so that readers could digest the issues easy and smart. So, take your time there and pick the points of your relevant lessons for boosting your own skill to harvest the best of your ROI. In order to build your best ROI, affiliate forums are one of the major resourceful areas you might engage regularly. There are lots of issues being discussed there such as news, current topics, current affiliate offers, regarding good areas of affiliate marketing, marketers, vendors, affiliate managers, potential ROI areas and so on. You could find your proper decision on niche choice and its best marketing as well from the forums. YouTube is the biggest area for video marketing that provides significant teaches to the audience to understand and find the solution of every issue. You might use the search tools on YouTube to find out the appropriate video content to learn the issues of boosting ROI for your small business development. There is no way to ignore YouTube, a powerful mine of your ROI development lesions through developing the ultimate skill of your investment in small business. SEO is obvious a continuous process of learning that every starter should learn, because a major part of the audience comes through the search engines. I’d like to suggest you keep in touch with the worthy top 11 SEO blogs such as: Google Official Blog, Moz, Search Engine Journal, Search Engine Land, Search Engine Watch, Kissmetrics, QuickSprout, Content Marketing, SEMRush, HubSpot and Higher Visibility. You might boost your organic traffic and sales using the proper guidelines of these heavyweight blog sites. Mentor’s Coach in your locality or in Udemy and Lynda are paying but rapid learning sources. These areas could provide you enough ability through high-profile tutorials and training to boost your productivity that increases your higher ROI as well. Udemy and Lynda, both have many mentors’ bright packages at an affordable cost. Or even sometimes you might find free packages in the Udemy as well. So, Udemy and Lynda are the sharp lines of getting bonafide learning and boosting your ROI. Social media is the biggest part of places, whereas brand awareness and referral traffic are available. In this biggest potential traffic field, there are many remarkable blog sites are engaged, generating quality contents and drawing huge reader engagement daily. To increase ROI, the remarkable Social Media Marketing blogs are – Buffer Social, Jon Loomer, Convince and Convert, Rebekah Radice, Razor Social, Social Mouths, Post Planner, Boom Social, Marketing Profs, Problogger, Content Marketing Institute, Copy Blogger, Social Media Examiner, Social Media Explorer and so on. 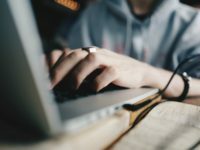 Your proper cultivation of these blogs might give you enough rich ROI. You might have a core list of your competitors following up their strategies. But, some of your competitors are using the strategy you do not know. Suppose, Google Sniper usage, a talk of the town strategy to gain real sales. The clever competitors are using this unique way analyzing the average ROI, not caring any criticism. You might get this opportunity considering your trial scope for best use of your ability for overall ROI development. Because your competitors will never tell you everything where is the biggest mine of their apex ROI. Email marketing campaign is still the first priority for the sagacious marketers who know well how to increase ROI that they could harvest their best return. Day by day email marketing becomes competitive and easier to handle the whole campaign with a custom template, list management, lead generation and analytics as well. In my opinion, the resourceful learning blogs are Return Path Blog, Litmus, The Email Experiences Council Blog, Email Institute, Email Monday, The Exact Target Blog, MarketingSherpa Blog, GetResponseEmail Marketing Tips Blog, Constant Contact, CakeMail Blog and VerticalResponse Blog, soon. The ROI might be kissed it’s top-earning rapidly, without waiting for SEO benefits, through the proper usage of email marketing. Linkedin is a bonafide area to generate leads through relationship, brand awareness and meeting with the professionals. It is at a time important for B2B and B2C both and beneficial meet-up area, whereas lots of scope waiting for your small business ROI development. You might share your blog content, write your best pulse, and engage in the group activities. There are education and slide sharing benefits which would help you to boost your personal skill and ultimate ROI. A sustainable better ROI intensely depends on your own skill on the above issues and proper management under a dedicated action plan. These top ten places to learn might be your core syllabus of affiliate marketing or small business lessons for acquiring the best return on your investment. Do you feel furthermore idea in your mind might share in the comments! If you find this write-up useful, please share your circles.